The MSC lounge is the perfect spot for your next student org event! When you reserve the space you're welcome to bring in outside food, choose the room set up that works best for your group, and take advantage of our projector, and television. 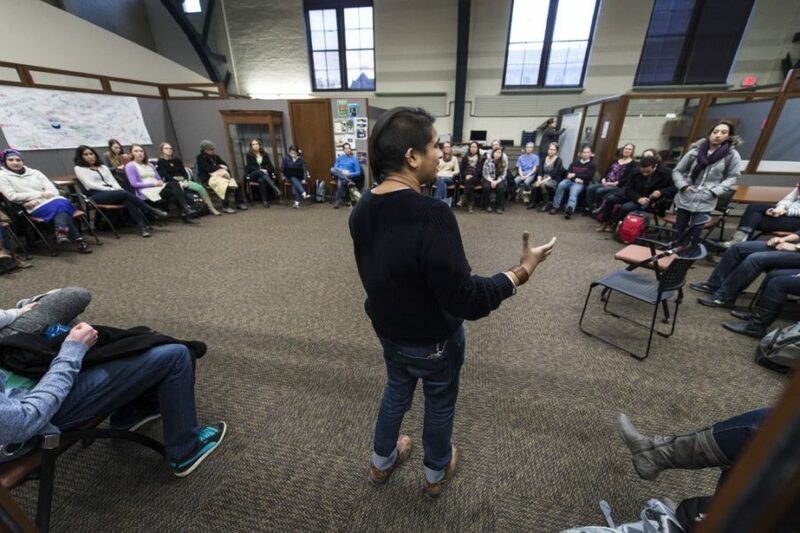 The Social Justice Resource Center is a smaller room that is perfect for quiet studying, research or small meetings. 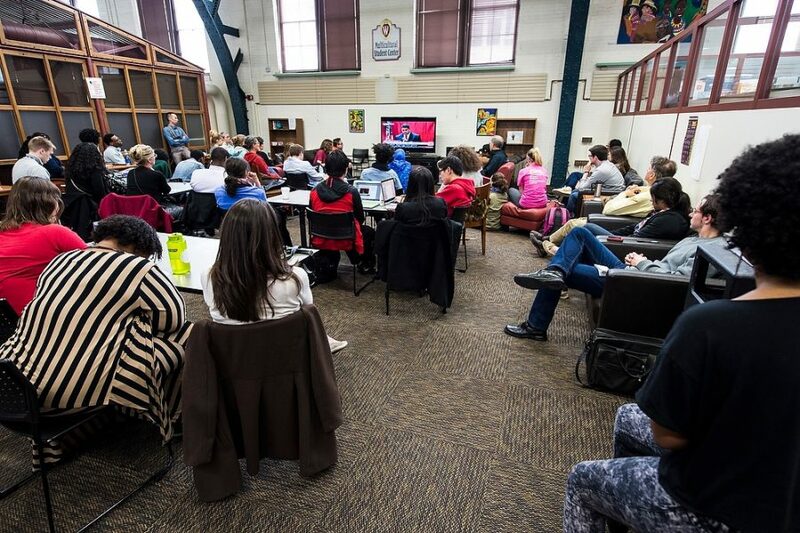 There is a full social justice library with books available for checkout, there is also a white board and a computer station. 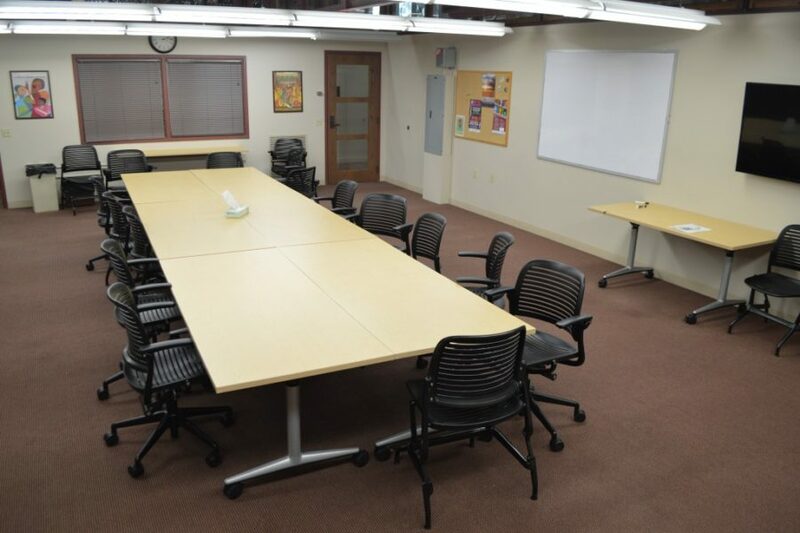 The MSC Classroom has large meeting tables and board room style seating. There is a white board and two TVs that can be used for presentations and visual aids. This space is often used for more formal meetings or courses. The Student Organization suite has a work station with large tables, lots of outlets, a computer, a white board, and other tools to make your studying or organization planning a success. The MSC kitchen is a shared space that has a refrigerator, freezer, sink, and microwave. The kitchen is open and available any time the MSC is open.